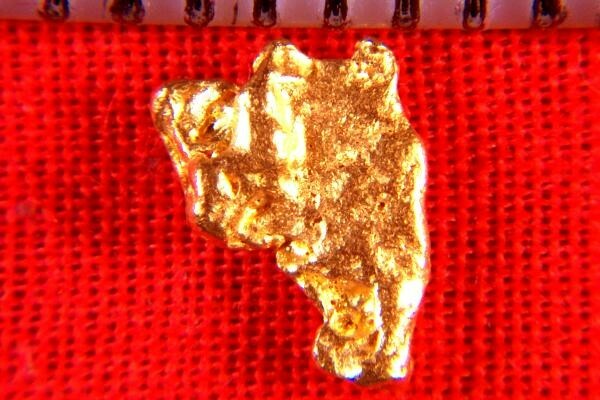 This Australia gold nugget is very special. This nugget is very special because it has such a unique shape.It is shaped like the head of a Great Dane dog. It is rare to see natural gold nuggets in such distinct shapes. It is 5/16" (8 mm) long and it weighs 7.3 Grains (0.48 Gram). 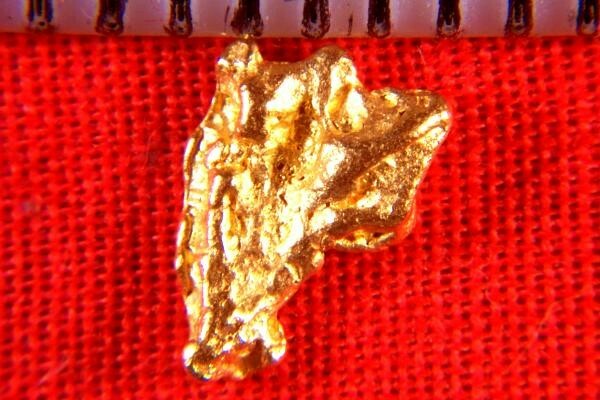 Australian gold nuggets are known for their high purity at 92% to 98% pure (22 KT to 23 KT).